Design & order a Tin Box with your custom message inside the lid! 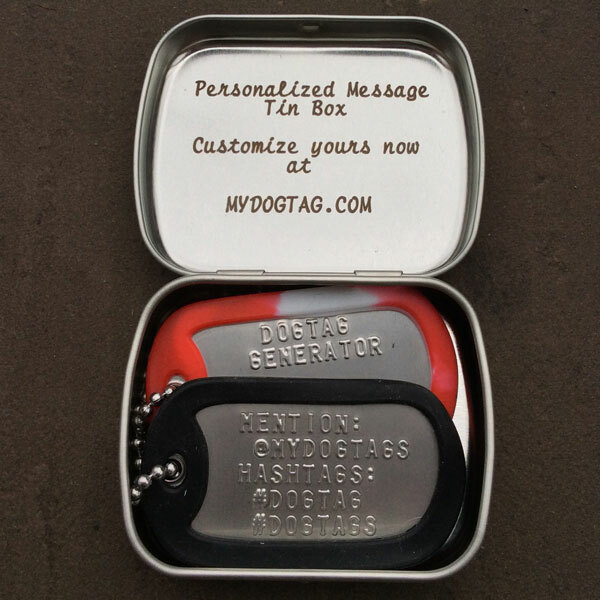 This tin is the perfect size for holding your customized Dogtags and makes for an ideal gift or storage box. 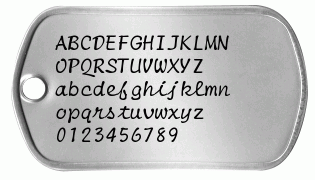 New Roman manuscript, sans serif, monospace. No Image Overlay, text only. Man and woman holding hands. We Guarantee you will love your custom Tin Box!